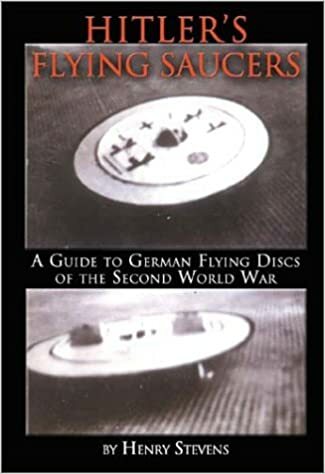 Hitler's Flying Saucers - Aliens, UFOs, & the Paranormal - Chickensomething What Are You Afraid Of? 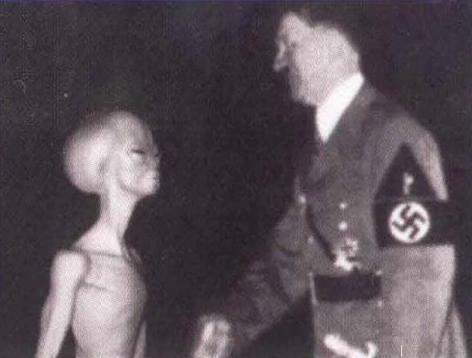 Secret photo of disguised alien and Adolph Hitler! The great schism between East and West, and how Alien and occult influence on the Nazis reshaped the 20th century is discussed with Joseph P. Farrell in the second part in the two part uncensored interview. From the connections of bloodlines and business that aligned the Germans with the US, and how the Russians and Americans split the spoils of war from WWII, plus the theory of an Antarctica Nazi alien base are all explored in this Buzzsaw interview, hosted by Sean Stone. The Nazis believed there might have been a civilization inside the Earth. This was the belief of Helena Blavatsky, who profoundly influenced the Nazi's philosophy and esotericism. 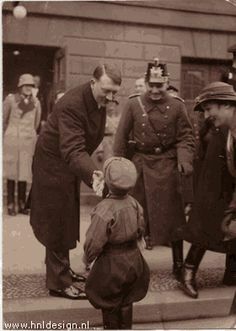 There is an abundance of evidence to suggest that a theory now considered dumb to most people, the hollow Earth, had an unusual cult following in Nazi Germany. German pop figures and writers also supported this idea, including one writer named Karl Neupert. The Earth was not a solid rock, but was shaped more like a human eyeball, having two portals of entry at the North and South poles and was hollow in the center. An empire was alleged to exist inside the Earth called Agartha. This is where the master race dwells. Actually, there's some good stuff in all that. All those German scientists were playing around with all kinds of things. That NAZI Bell is compelling. They were playing around with all kinds of alternative energies, extreme medical and psychological practices, and other fringe practices. Both esoteric and possibly exoteric studies.